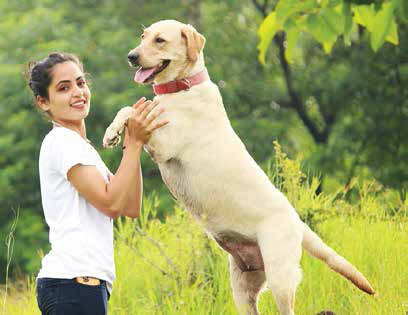 It’s the month of love and what better way than to celebrate it with the true love of your life – your pet. Here are 10 Reasons why your pet makes the best Valentine. There is nothing happier than coming home to a wagging tail and sloppy kisses. That happy welcome is enough to put an end to a rough day. Think therapy is too expensive? Ever tried furry four-legged therapists? Sessions are done at your home, snuggled up. And the only fee they ask – love and may be some treats too. There have been so many times I’ve shared so many secrets with Romeo knowing they are safe in his heart. And not to forget the times I’ve resented about someone after a fight! Going out on a long romantic drive with your favourite music is so much fun. Pets accompanying us on car rides make some of the most cherished memories. Planning to adorn parenthood? Adopting a pet would prepare you for it. Right from potty training to doctor visits, pamper sessions to behaviour training, it is more or less the same. The best part about having a pet, you don’t need an alarm clock. Romeo’s brain has in-built clock. 5 a.m. and he starts dancing on my bed. Watching a sappy love story, cuddling up in front of the heater, or just sitting with family to gossip, your pet makes the fluffiest pillow. And now to forget how good a quilt they prove to be! ‘Whatever you eat, my eyes are on you’ says every pet for all your meals. Food tastes a lot less tasty when I don’t have Romeo around to have a bite or two. Our watermelon sharing being my favourite. If there is one lesson we humans need to learn from our canine companions, it is unconditional love. These furry babies are full of affection. Show them a little warmth and you’d get exponential amount in return. With tiny paws they walk into our homes, and soon it is them who describe home and heart. Our pets have such a limited time, cherish each moment and be grateful for their love and shenanigans.